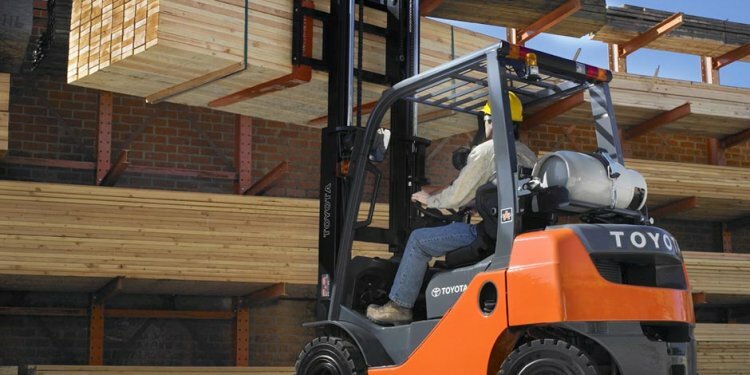 Flexi forklift trucks should be considered for all of the following applications, and more! Companies who are using conventional forklifts or reach trucks, who are in need of more space. Utilizing a Flexi will result in 20% to 50% more pallet positions in the same warehouse space compared to conventional or reach trucks. Companies who are renting offsite warehousing, or considering it. Eliminate or reduce the rental expense by replacing conventional and/or reach trucks with Flexi very narrow aisle forklifts. Companies with refrigerated or cold storage. The most expensive warehousing to lease, rent, buy, or build is refrigerated and freezer warehousing. Flexi’s ability to work in aisles as narrow as 6’ to 7’, its ability to work with 4 to 5 deep pushback rack, or even in double deep applications makes Flexi the ideal choice to maximize storage capacity in temperature controlled warehouses. Companies currently using other brands of articulating forklift, who are less than happy with the service, support, maintenance and operating cost of the other articulating forklift brand they use. Flexi provides the best parts and service support, and has proven to cost significantly less to own, and maintain, than competitive brands. It is common for Flexi forklift to be kept in operation years past the time when competitive brands have been retired. Companies using a combination of reach trucks or turret/swing reach trucks in the warehouse, and conventional forklifts to load and unload trailers. When appropriately configured, Flexi can move product from the trailer to the rack, and back, without the need to double handle loads. Handling the loads only once is more efficient and reduces the opportunity for costly product damage. Eliminating forklifts, and personnel on the dock add up to big savings! Companies who need more manufacturing space. Narrowing your aisles in the warehouse maximizes cubic utilization, and frees up more space that can be used for manufacturing. Companies utilizing pushback rack. Front wheel drive allows the Flexi to service up to 5 deep pushback rack better than any rear wheel drive forklift. Flexi’s need for less aisle space adds pallet positions to the system. When forklift attachments are required. Any attachment that can be used on a conventional forklift can be used with Flexi. Side-shifter is standard. Fork positioners, clamps, basiloid attachments, reach forks, and more, can all be installed on Flexi forklifts. As a die handling truck. Not only can the dies be stored utilizing very narrow aisles, but Flexi can move the die from storage into the machine precisely, thanks to the smooth steering that is the result of an independent steering pump, and Zapi AC drive motor. When wide loads, like 4’ x 8’ sheets of plywood, must be handled. Flexi requires an aisle width only 1’ wider than the load it that is being handled. If a quick and easy increase of storage space is required. If more space is quickly needed to handle an increase in business, or a new line of goods, the Flexi provides the fastest and lowest cost solution. Operators using bar code scanners enjoy not having to leave the seat to use their scanner. This increases cycle times, improves productivity, and reduces operator fatigue. If you’re ready for a quote please click on in the menu bar and fill in a few details. We’ll provide you with a prompt response. Prefer to call? Our main phone number is 214-819-4180. You may also select Contacts from our menu bar for information on how to reach all of the key contacts at Narrow Aisle Inc.